When it comes to getting a car loan, and things related to finances in general, a lot of people are quick to jump right into the thick of things before they're truly ready. Of course, doing your research on what your credit standing is, which auto brands are the best in terms of performance, and what your budget is, are important. But sometimes, proper mindset before purchase, or before any important action in fact, is crucial to setting yourself up for success. Did you know that a vehicle is typically the second largest purchase that most consumers make? After a house, the general population spend the most for acquiring and owning a car. And just like a house, acquiring a vehicle of your own often involves things like loans and repayments per week, fortnight, or month. There's a big difference between the car you WANT, the car you NEED, and the car you can AFFORD. A lot of people automatically get drawn to the sleekest, shiniest, newest model. And this is okay, if you can realistically afford it and all the costs that come with it. The amazing and incredibly devious thing about certain car salesmen is their ability to make people believe that it's a good idea to buy things they can't actually afford. The same goes for vehicles. You may be looking for a simple toyota, but some salesmen would try to push you towards the more expensive models as they possibly can. Don't fall prey to flattery, big bold and red marketing terms (like SALE) and that urge to impulsively swipe with your credit card. Before any big ticket purchase, be sure to check your monthly budget and credit history. If your haven't created a budget to show all of your regular expenses plus your typical incidental expenses, then it's about time that you create one. 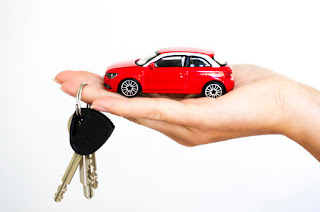 Remember that when you purchase a vehicle, you'll be needing to factor in the weekly/fortnightly/monthly repayments for your car, petrol, and other costs (like tyres, windscreen, and maintenance) associated with owning a car. Most especially when you're trying to apply for a bad credit car loan, you have to set yourself up to be a numbers man/woman before application. While most of us shy away from math, finding out all the figures associated with car acquisition and ownership makes the whole process so much easier to manage. Not all loans are created equally. Unlike with your run of the mill items in a mall where you might end up buying other things, shopping around for the best car hire is one of the best things you can do, so long as you do it the right way. The first thing you need to know is that you don't need to be afraid to look for and apply to several different auto loan companies. This allows you to find better rates and a wider selections in case you're still looking for the car that best suits your budget, needs, and lifestyle. Never ever let any lender or salesman make you feel pressured into taking a loan, finance, or lease for fear of losing the deal. There are others out there, and chances are they'd still call you to offer you the same or a better deal later on. You just have to make sure that you do all of your applications within two weeks. This way, it only counts as one or two enquiries in your credit file. Yes, for some reason every time you apply for a loan impacts your credit regardless of approval or rejection. Proper mind setting pays off in surprising but valuable ways: you'll be armed with a clear head instead of getting blinded by dazzling marketing; You'll feel more confident and in charge of negotiations; And you'll have a less stressful, more pleasant, and overall more successful experience in the actual purchase. So don't jump into the auto loan game right away. Make sure your head is in the right space for the best chances for success. Good luck!